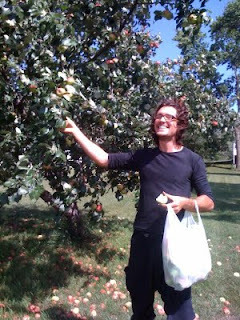 Raw Model - The Lifestyle for Beauty, Energy, and Mental Clarity: Free Apples...The Universe Provides. out about us finding some great apples in MN. the grocery store and doling out their money is somehow better. We just picked $150 worth of apples in about 15 min.